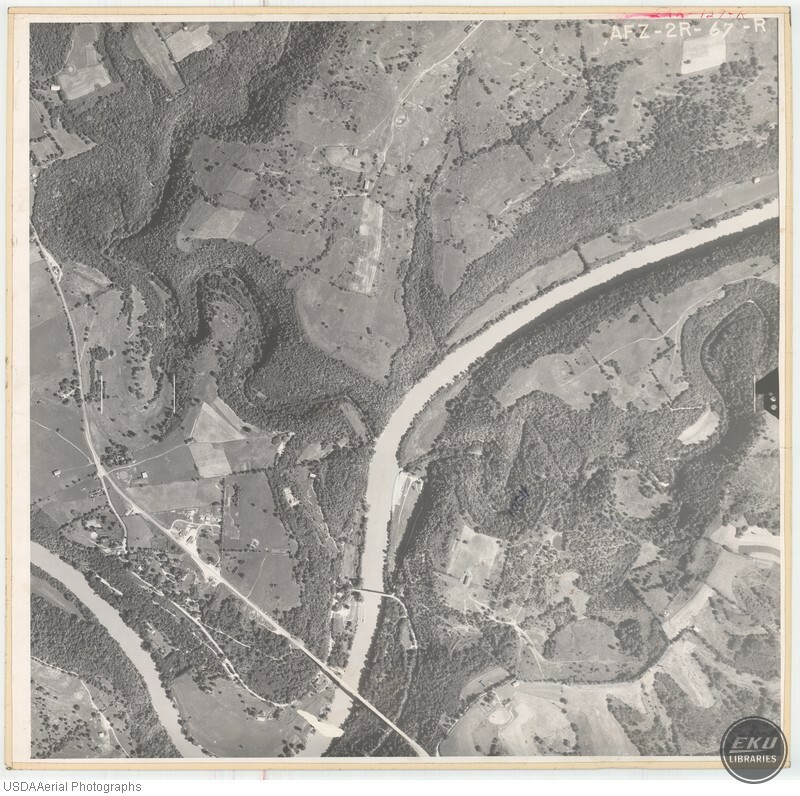 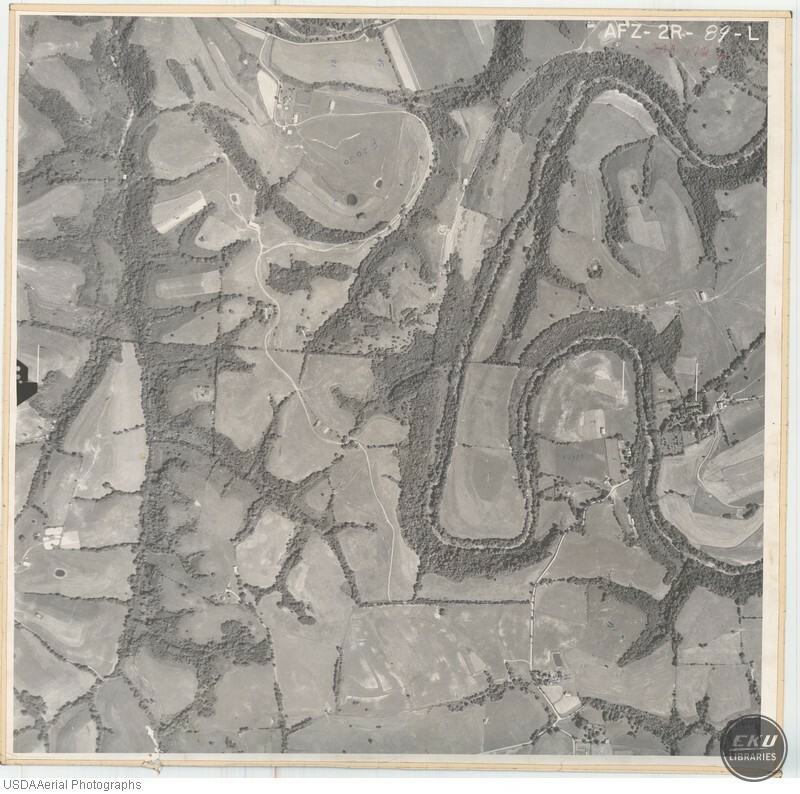 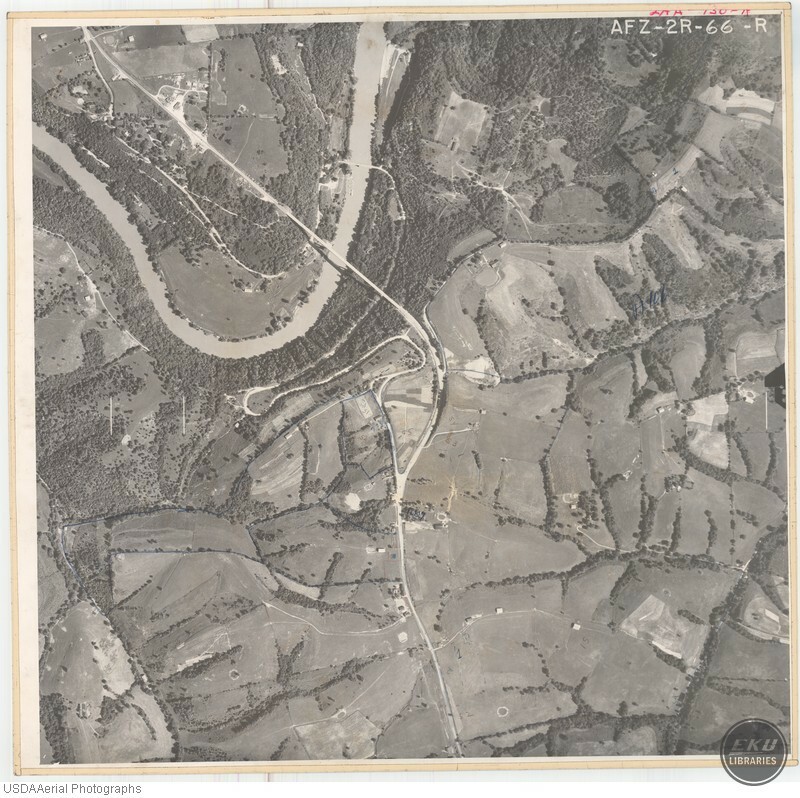 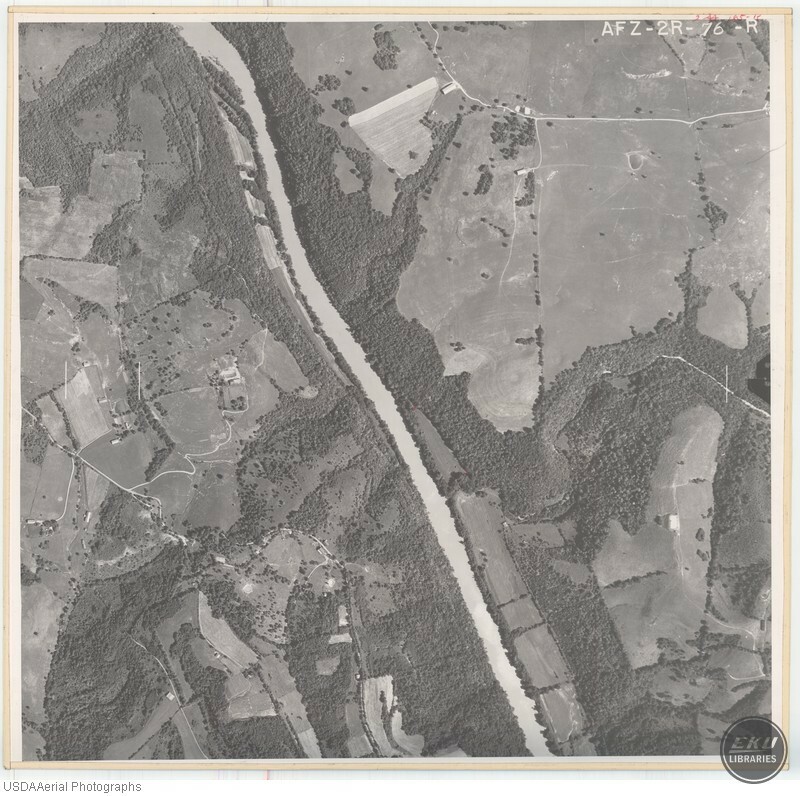 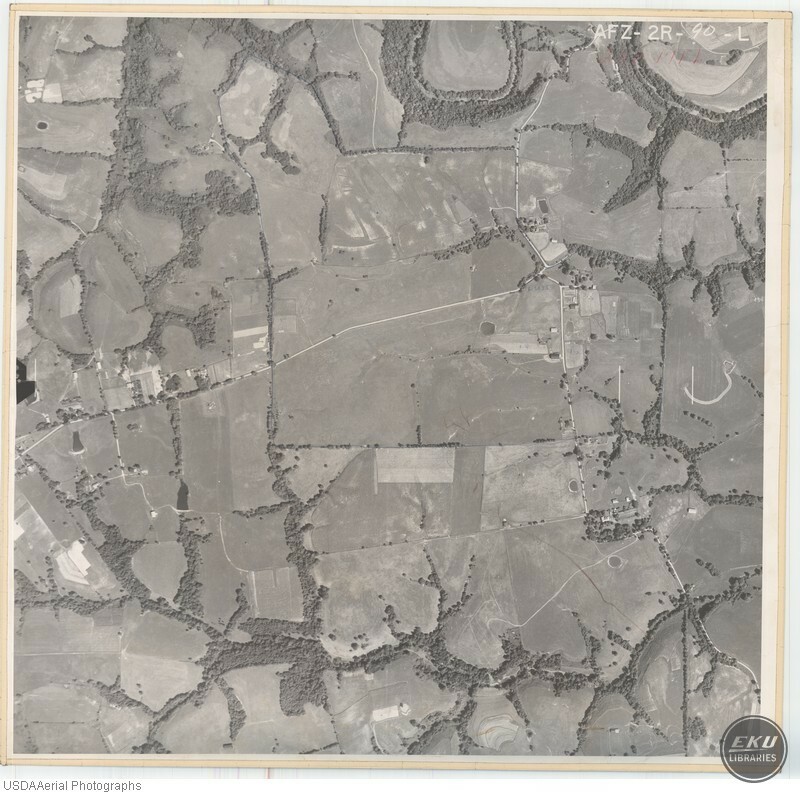 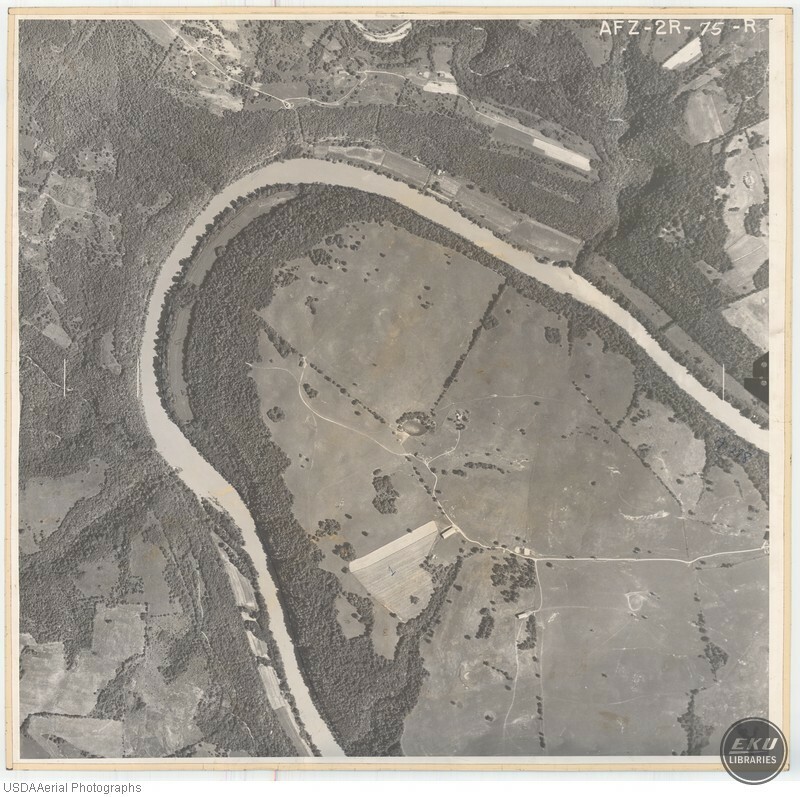 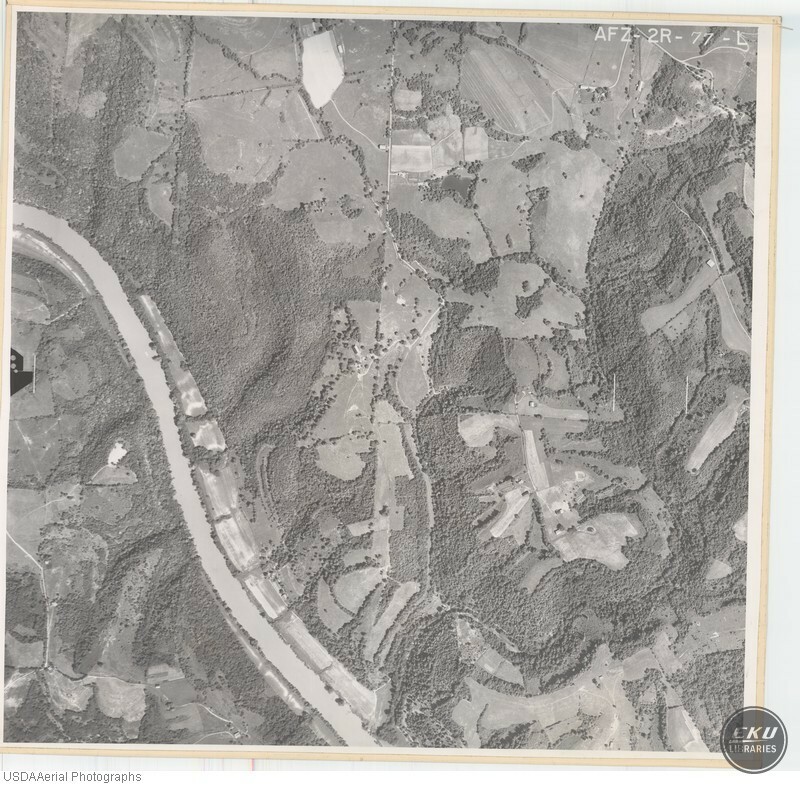 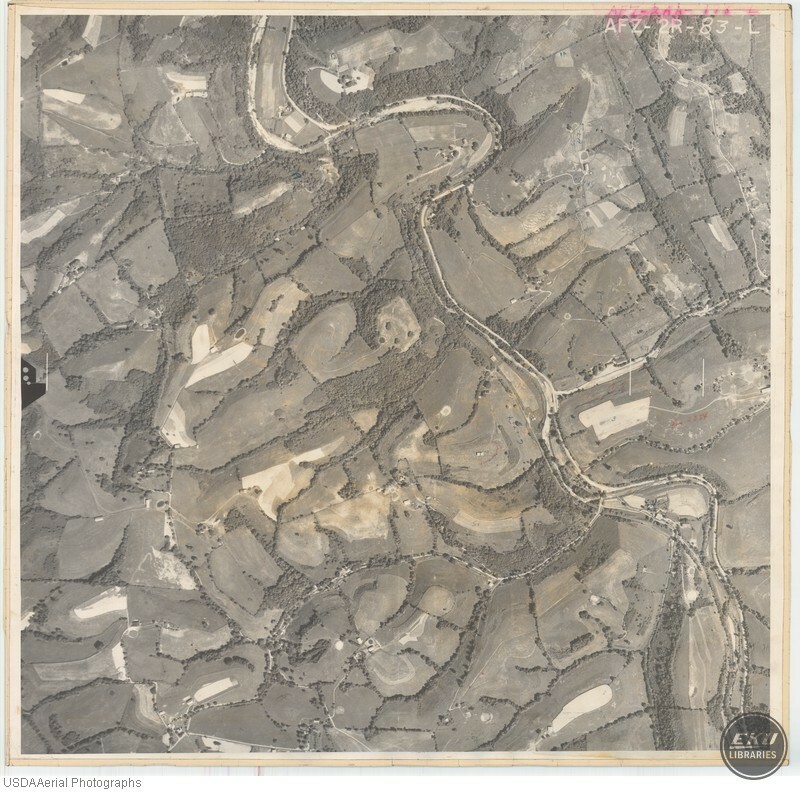 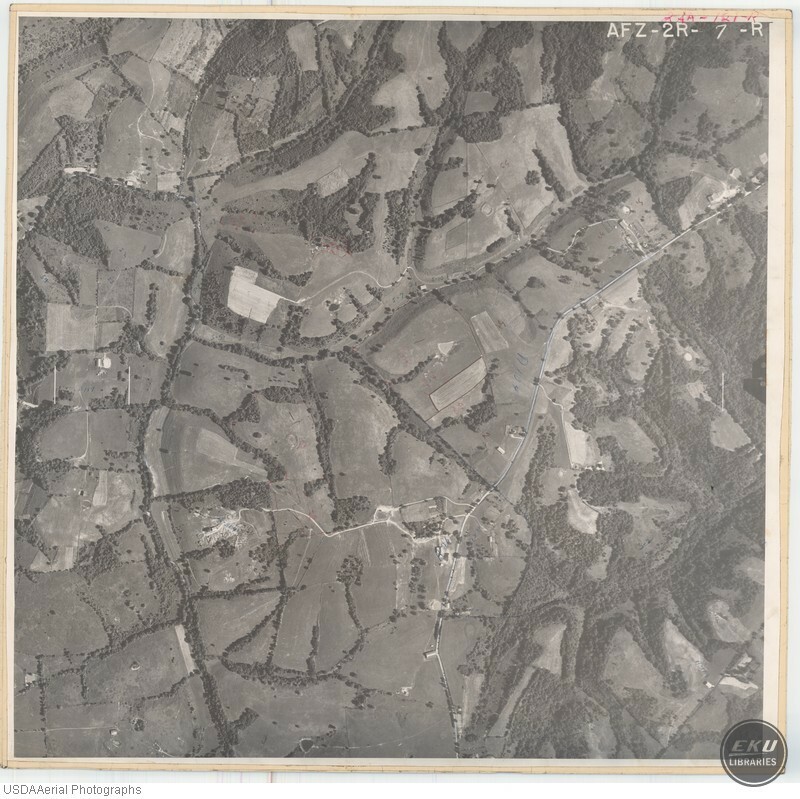 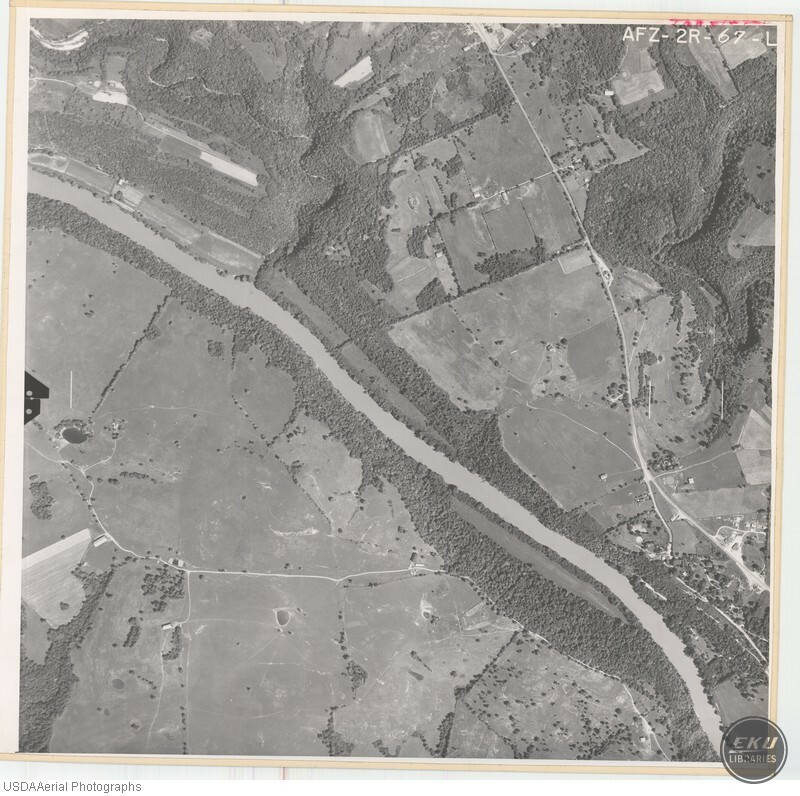 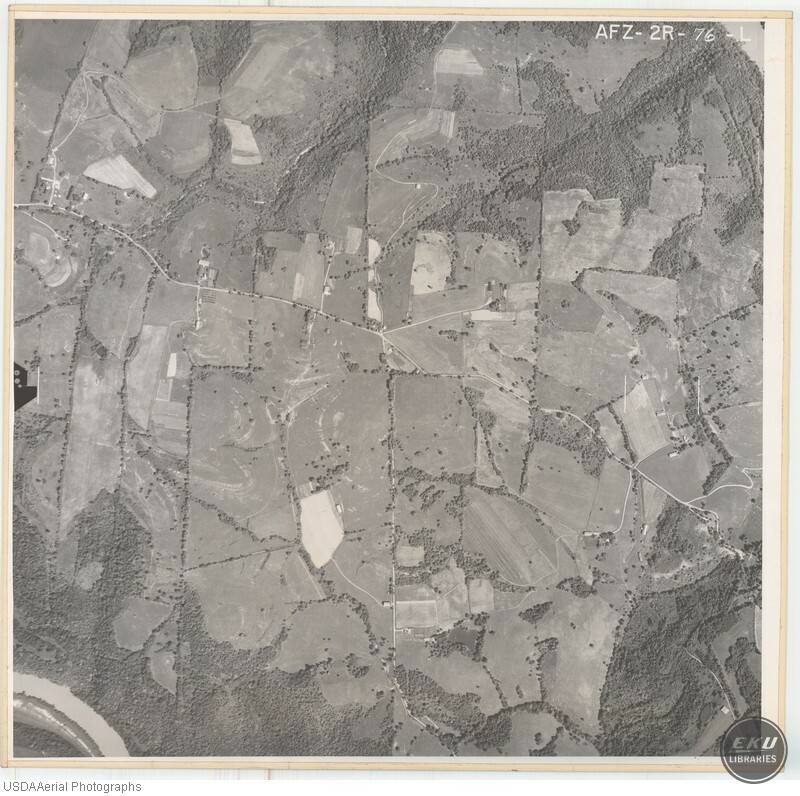 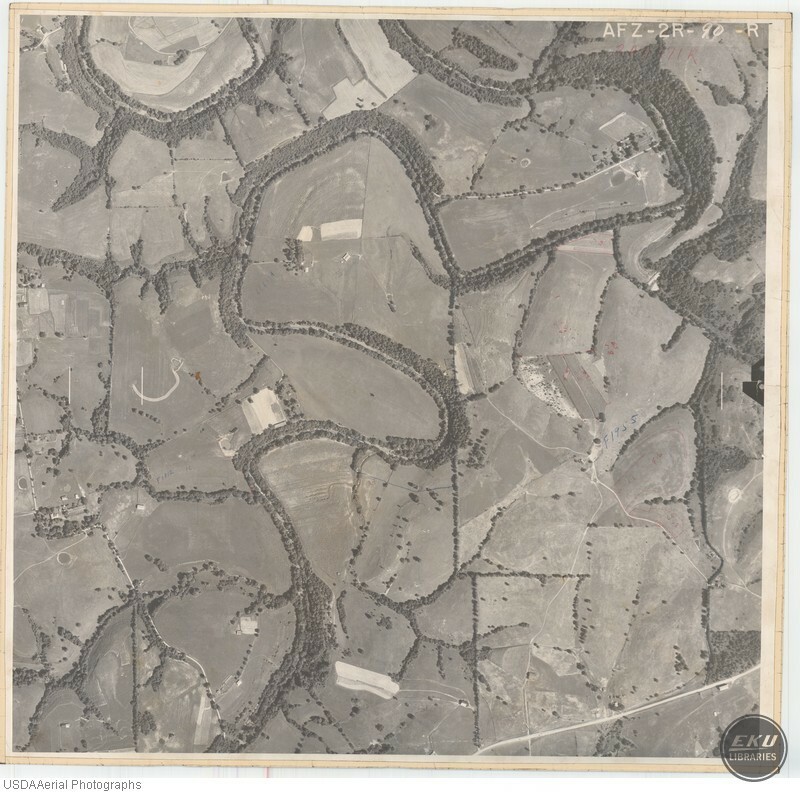 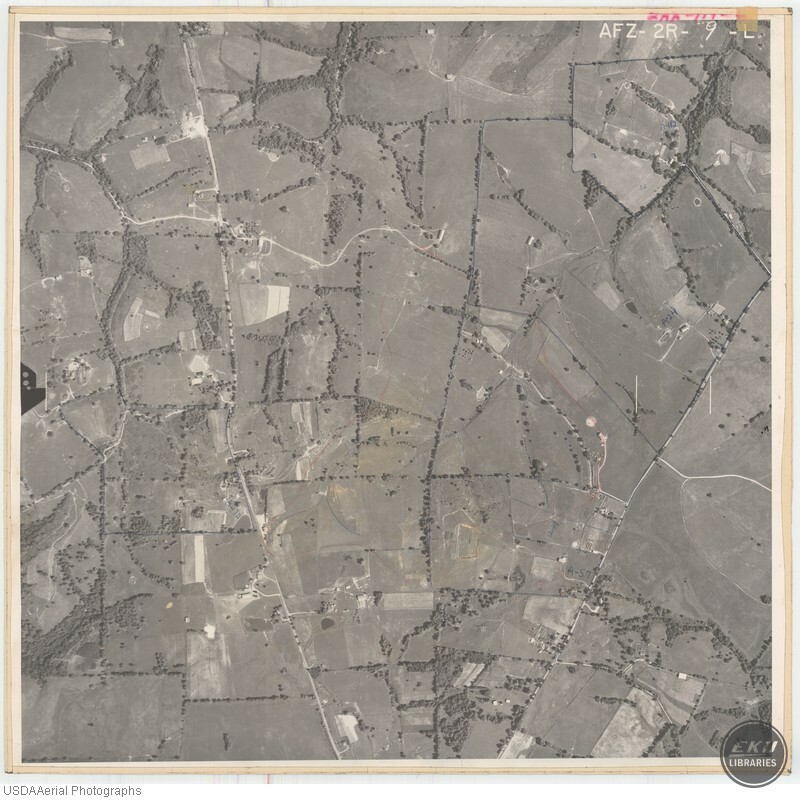 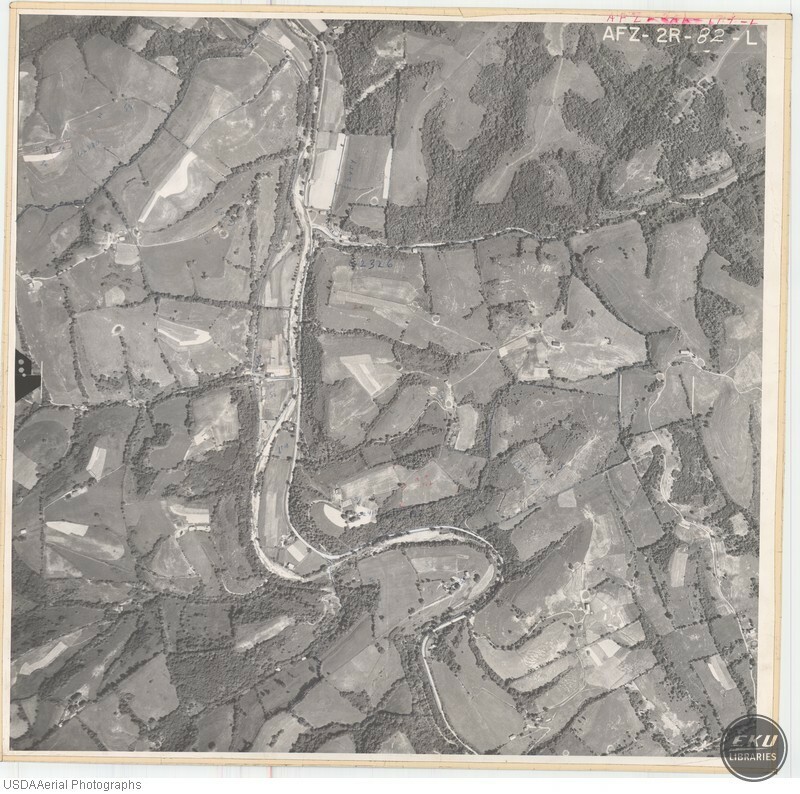 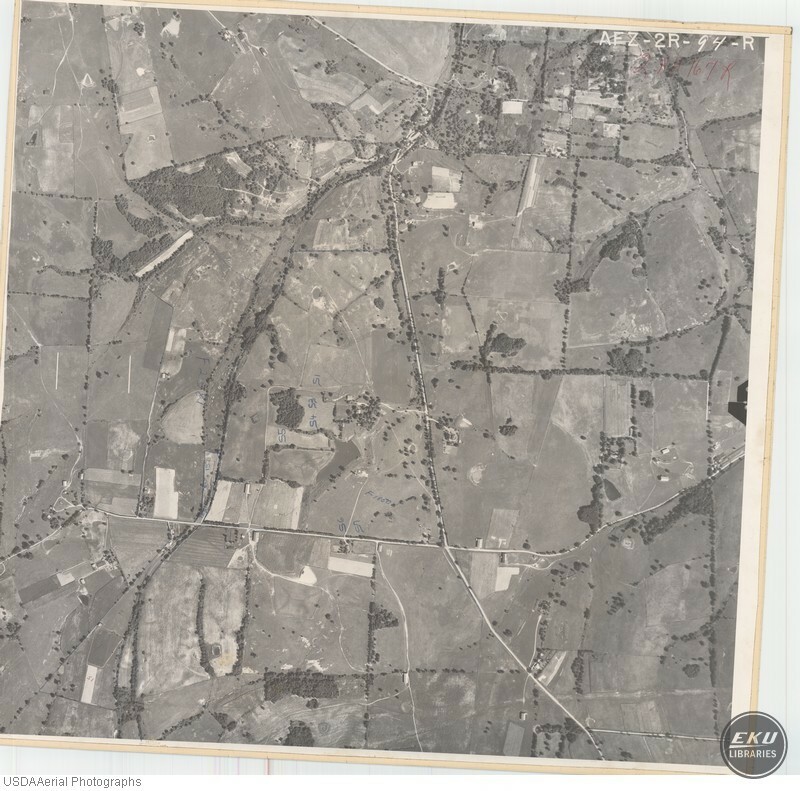 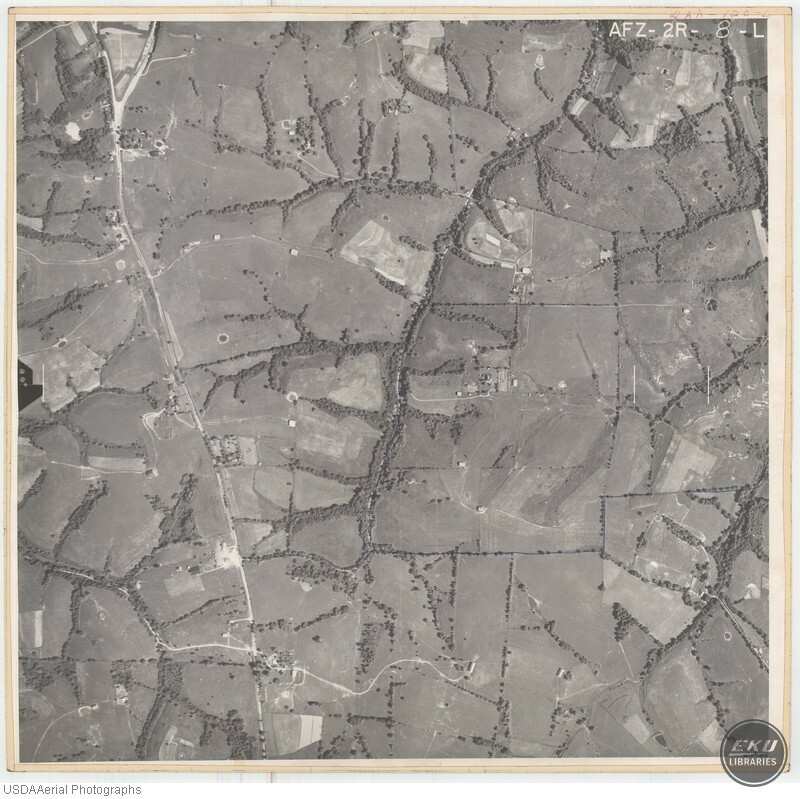 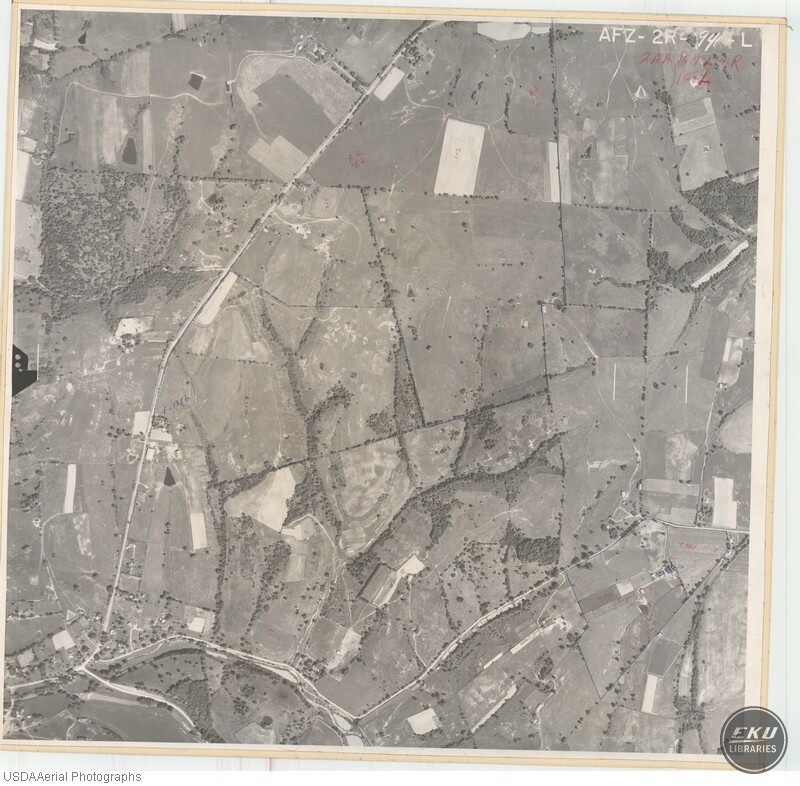 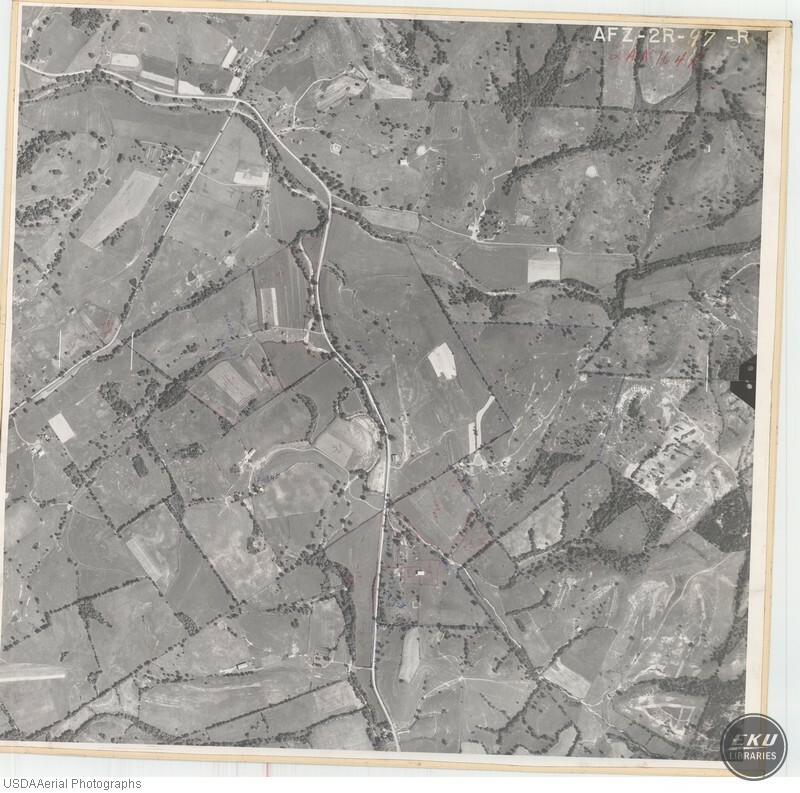 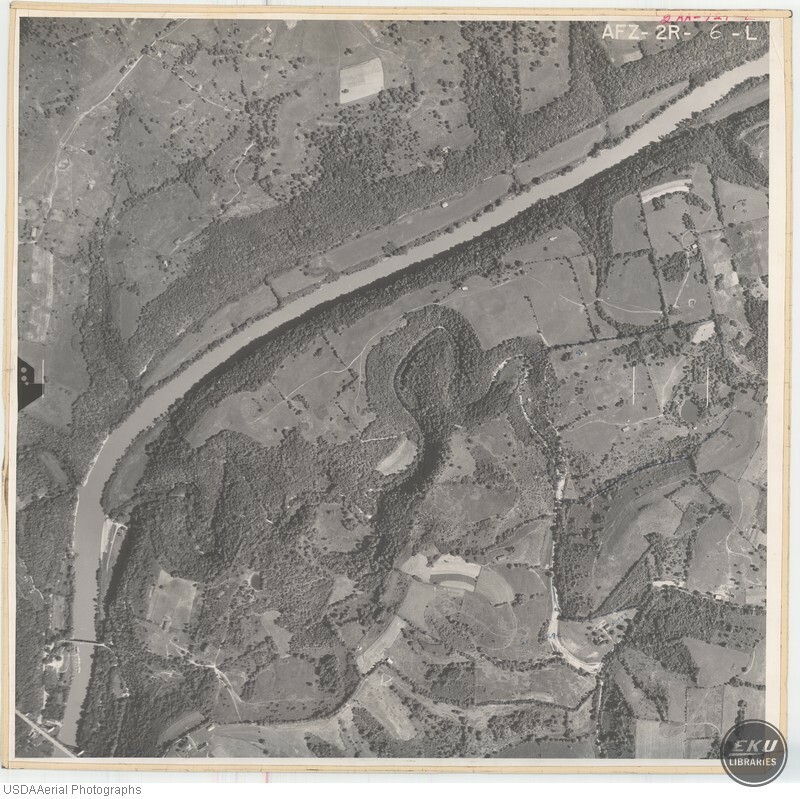 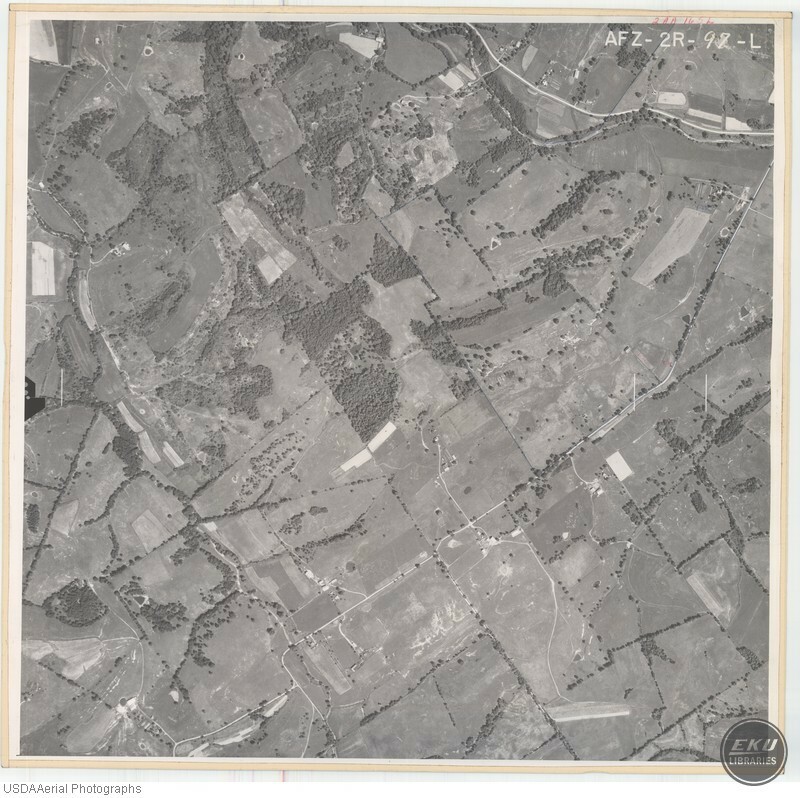 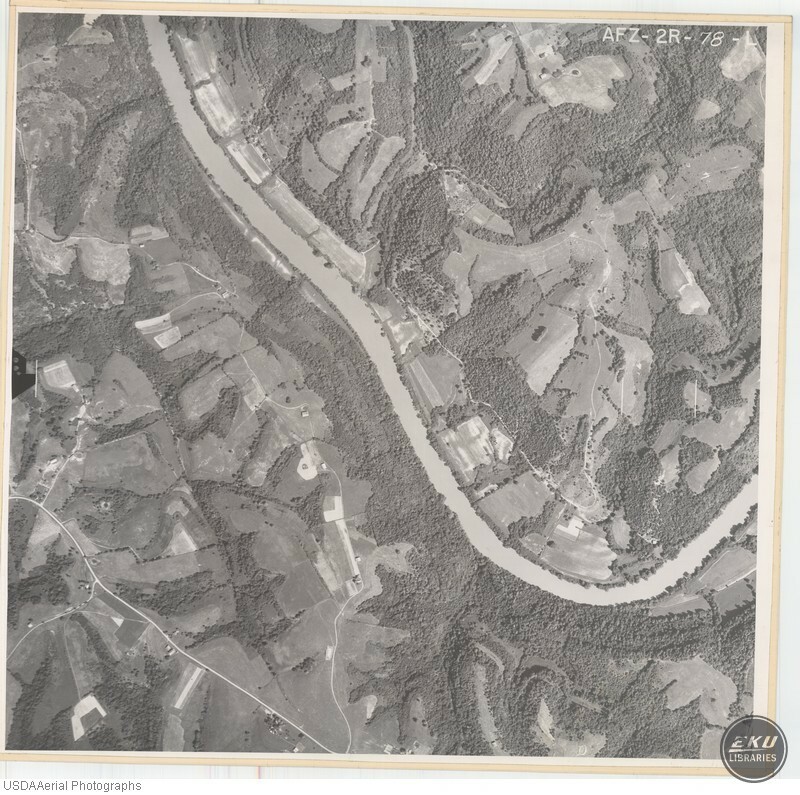 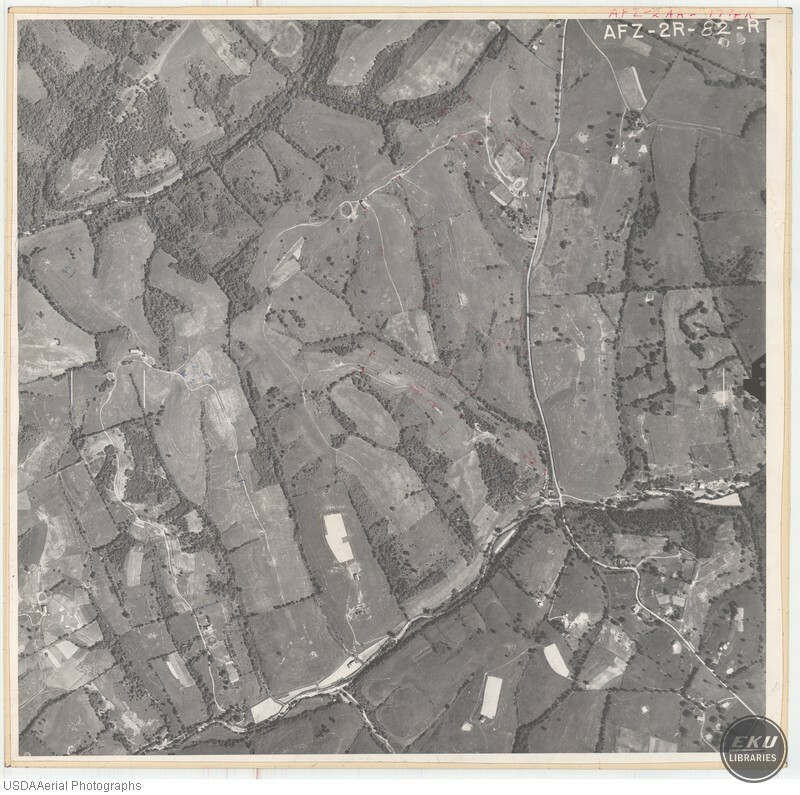 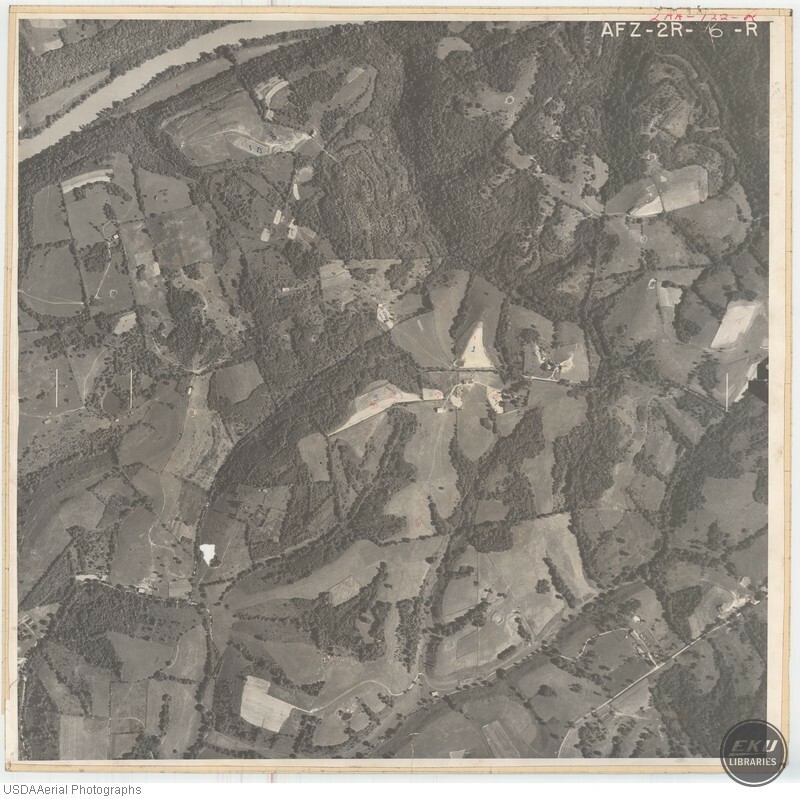 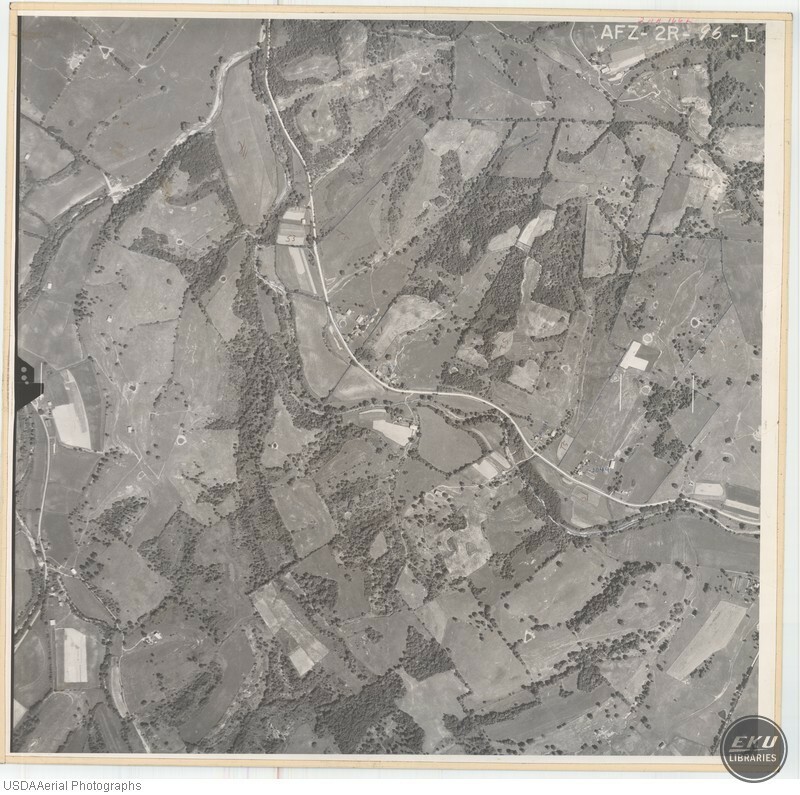 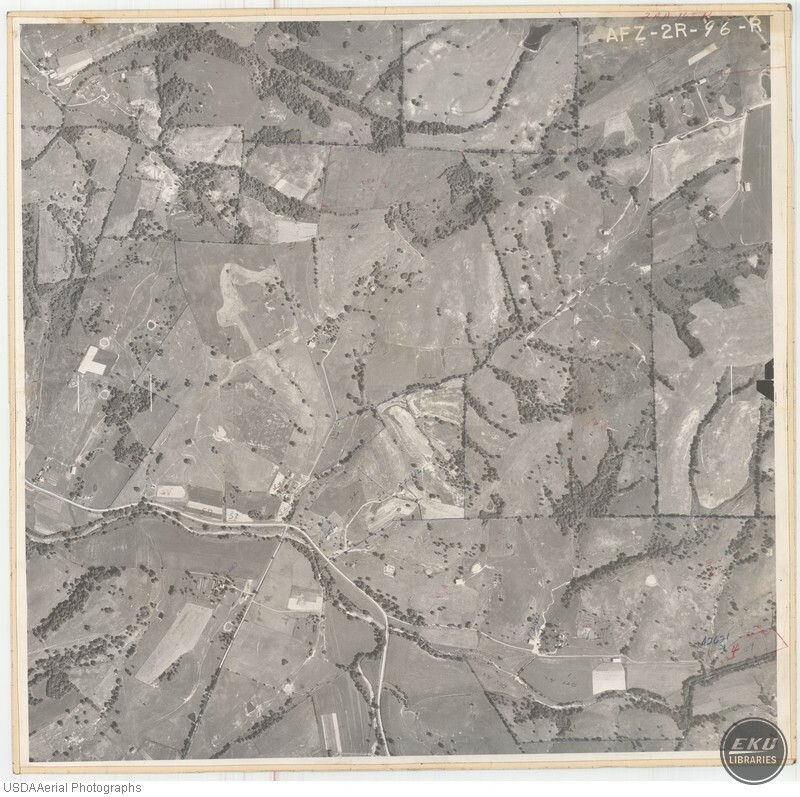 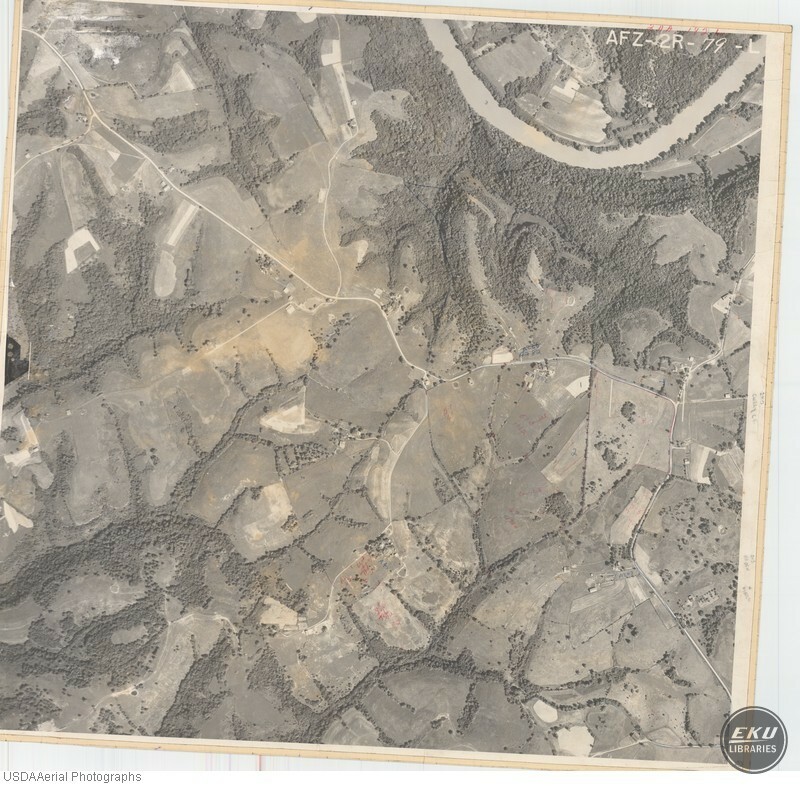 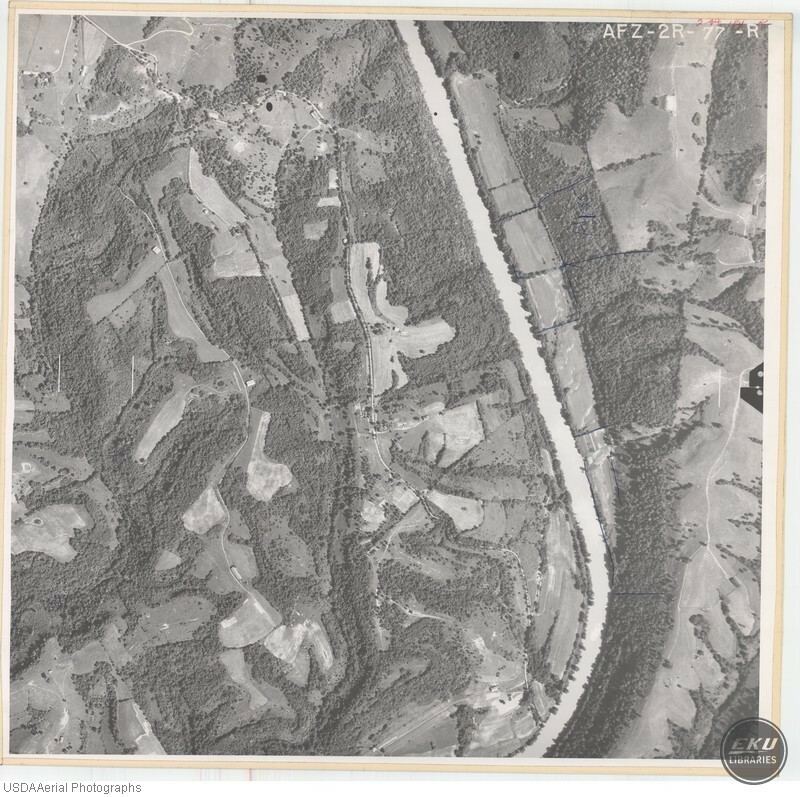 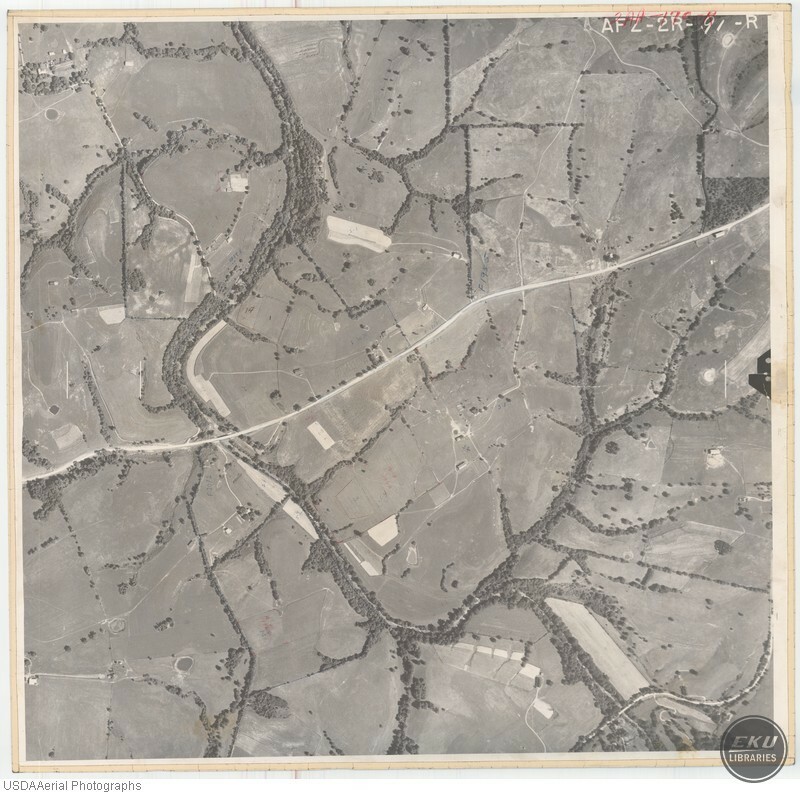 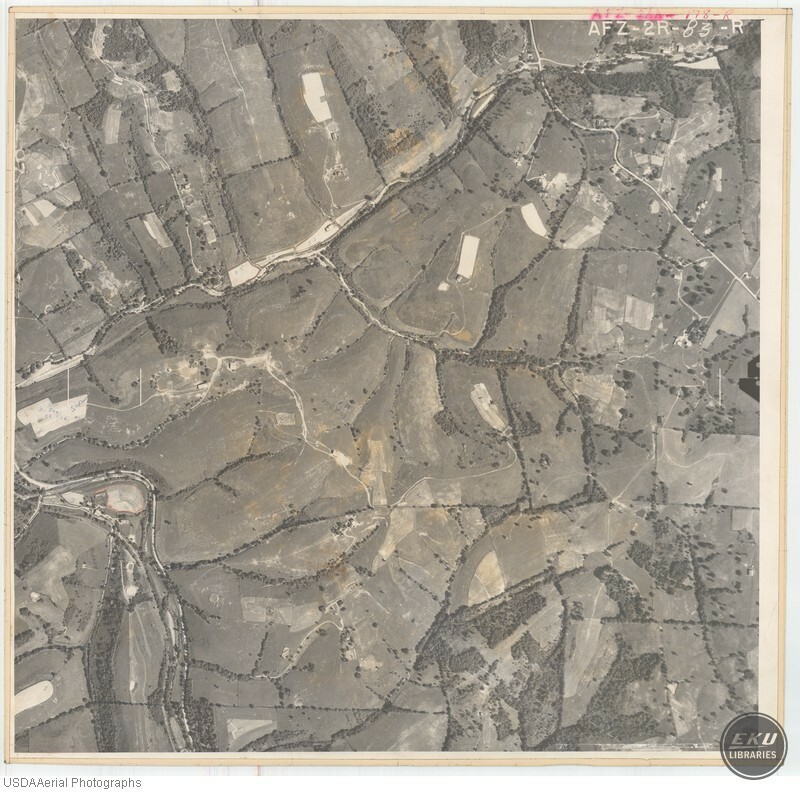 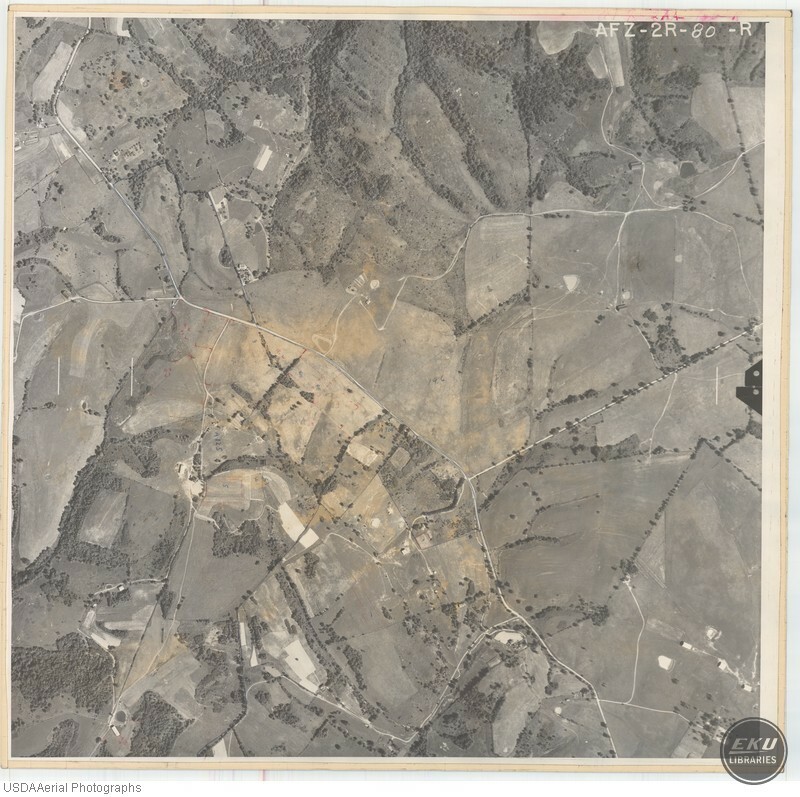 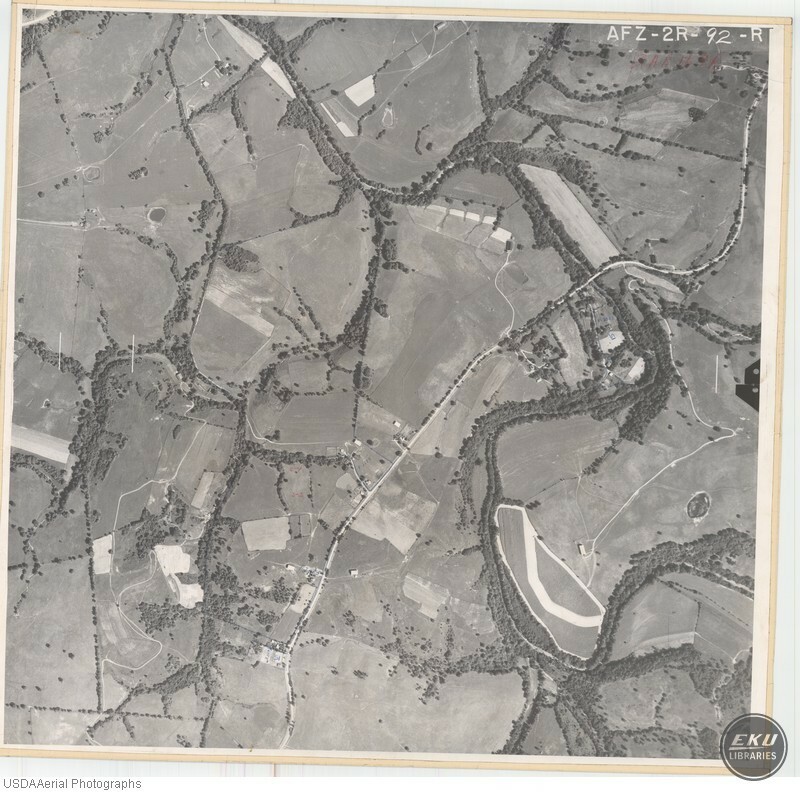 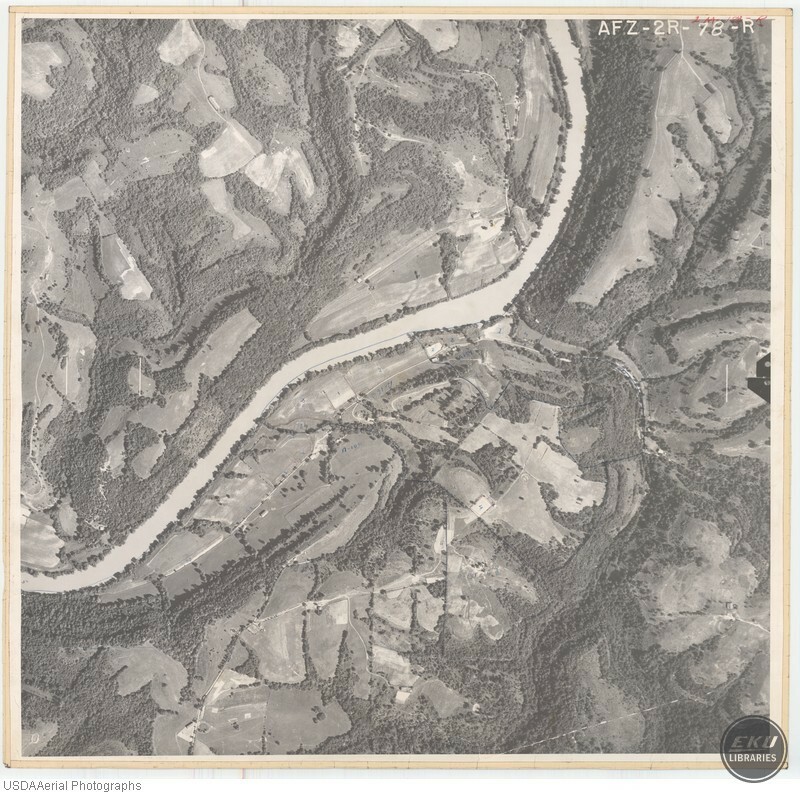 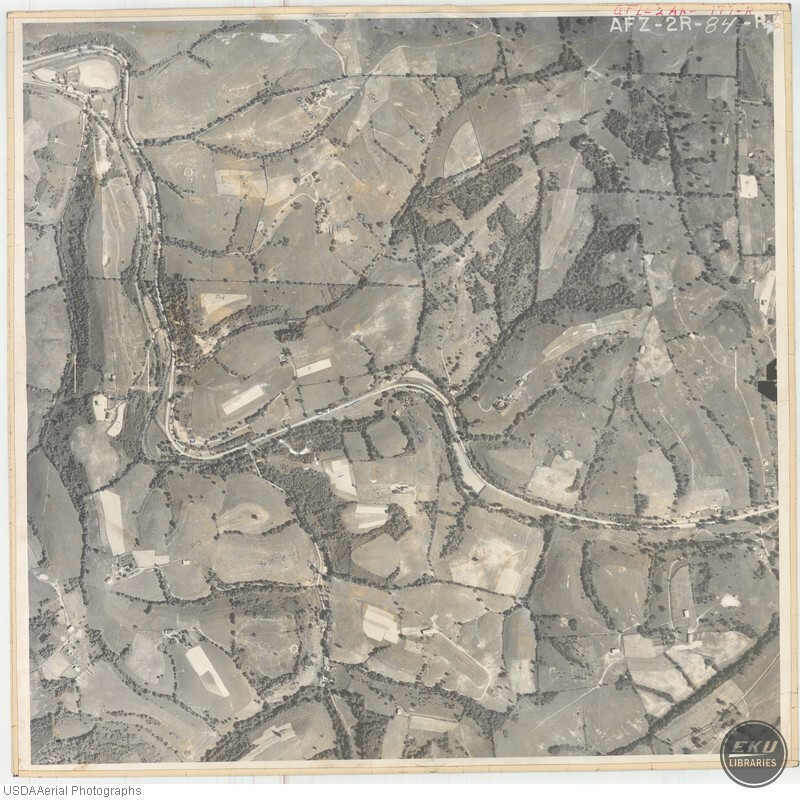 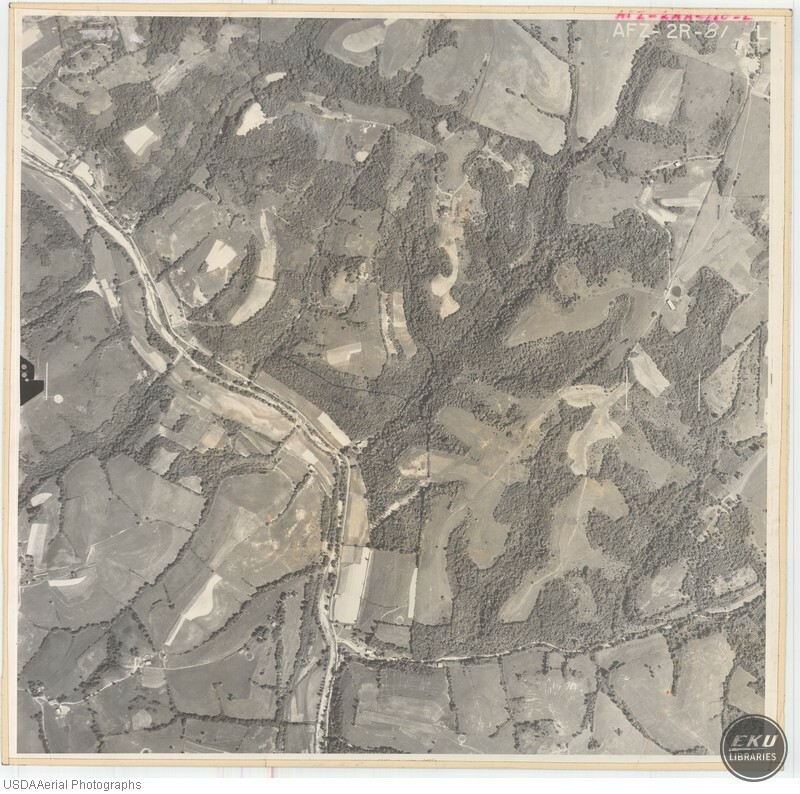 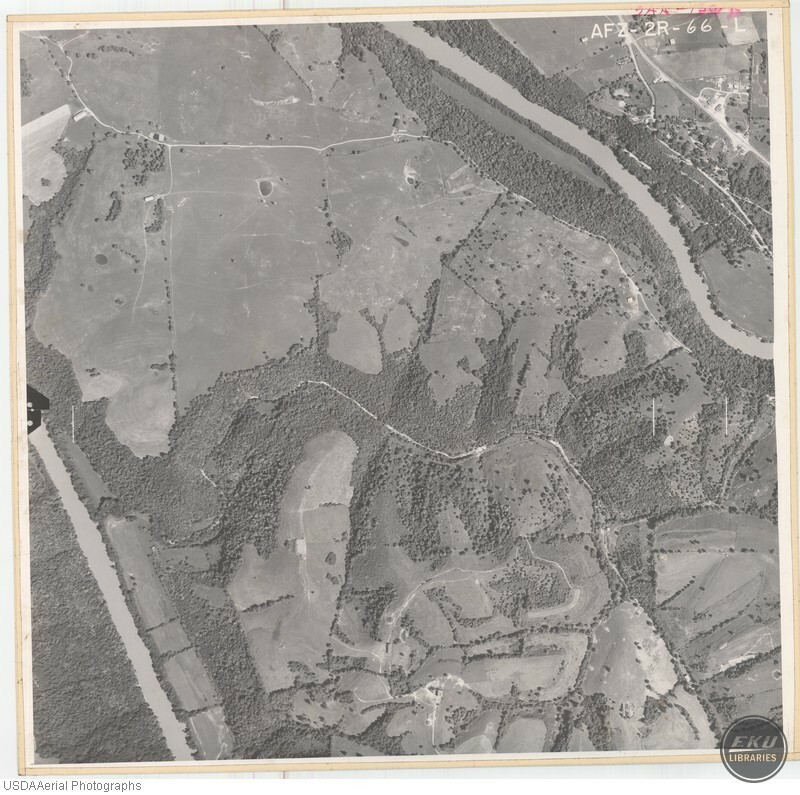 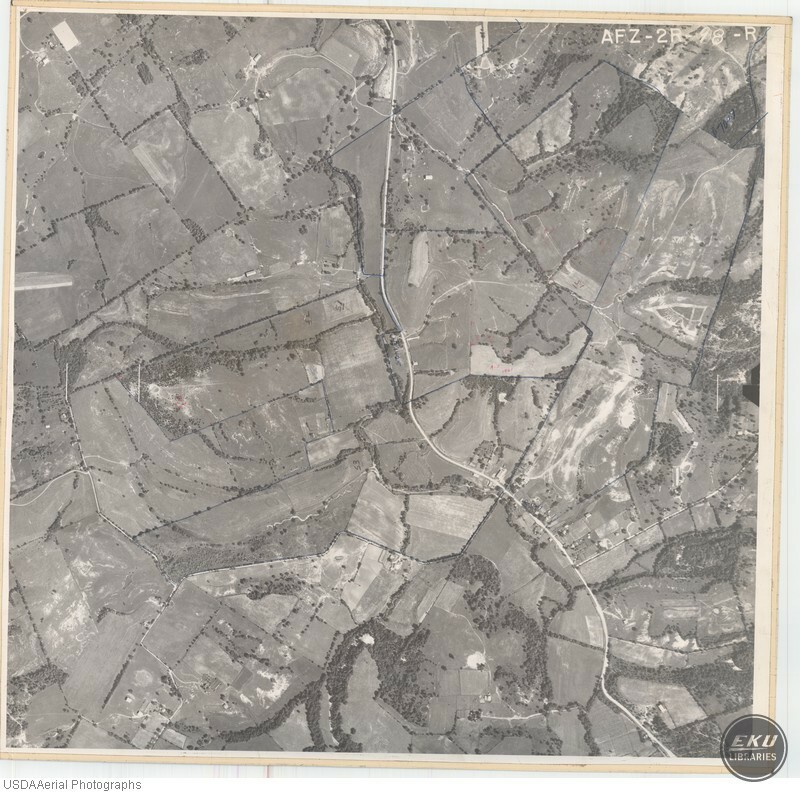 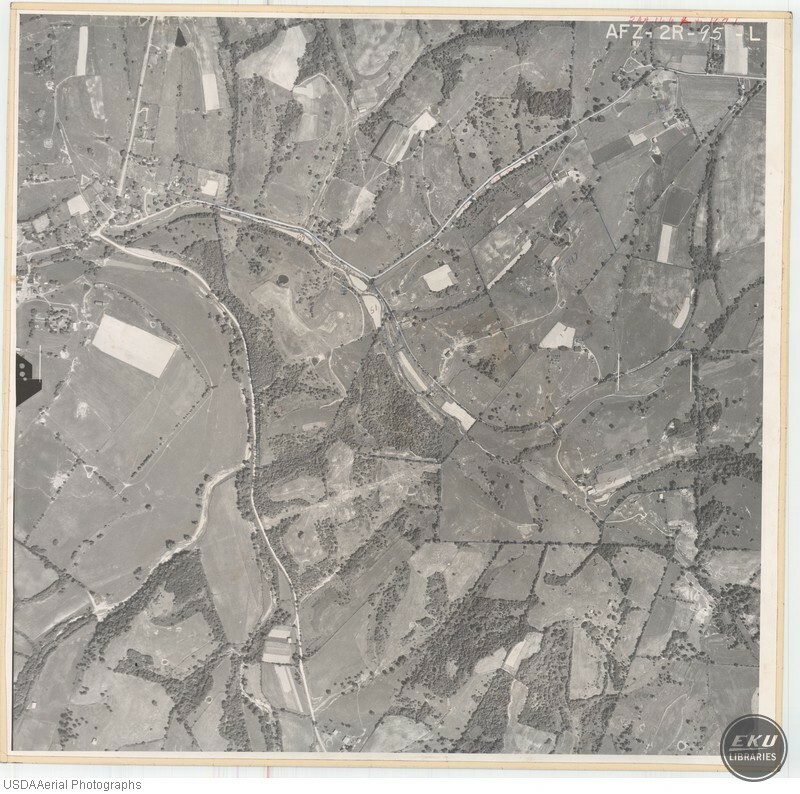 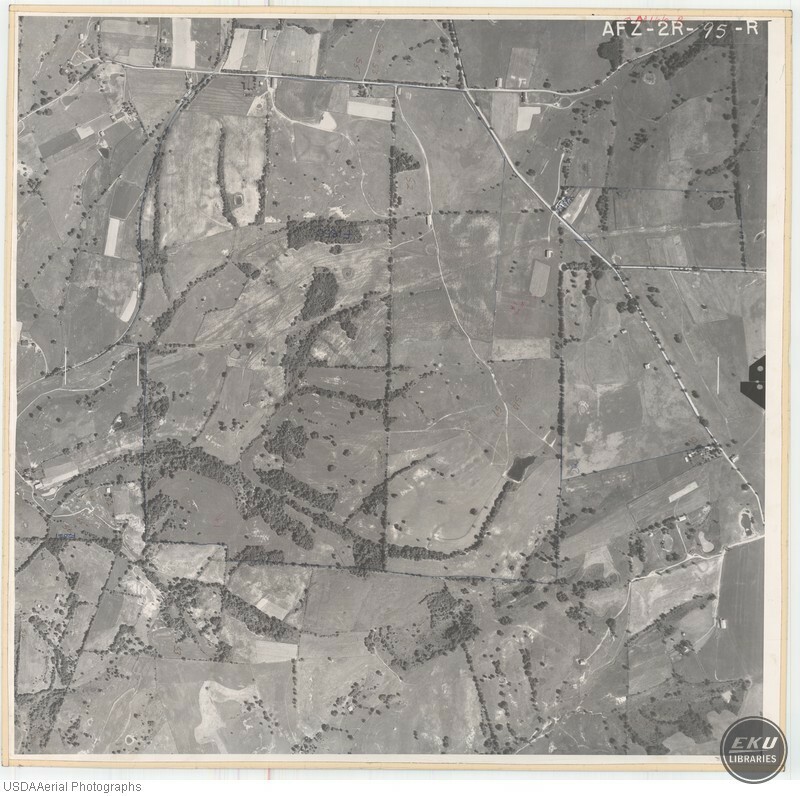 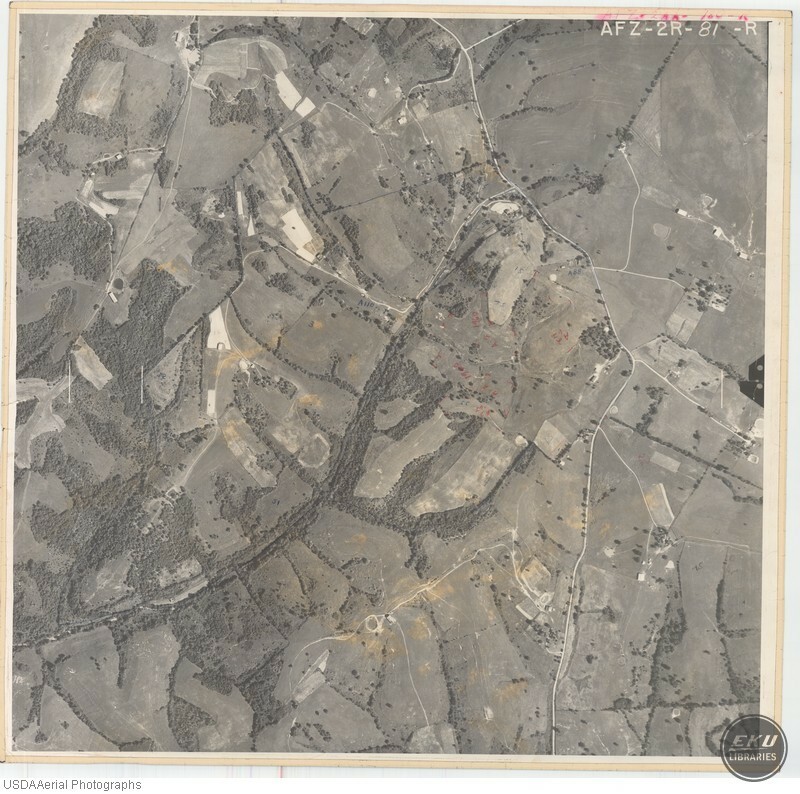 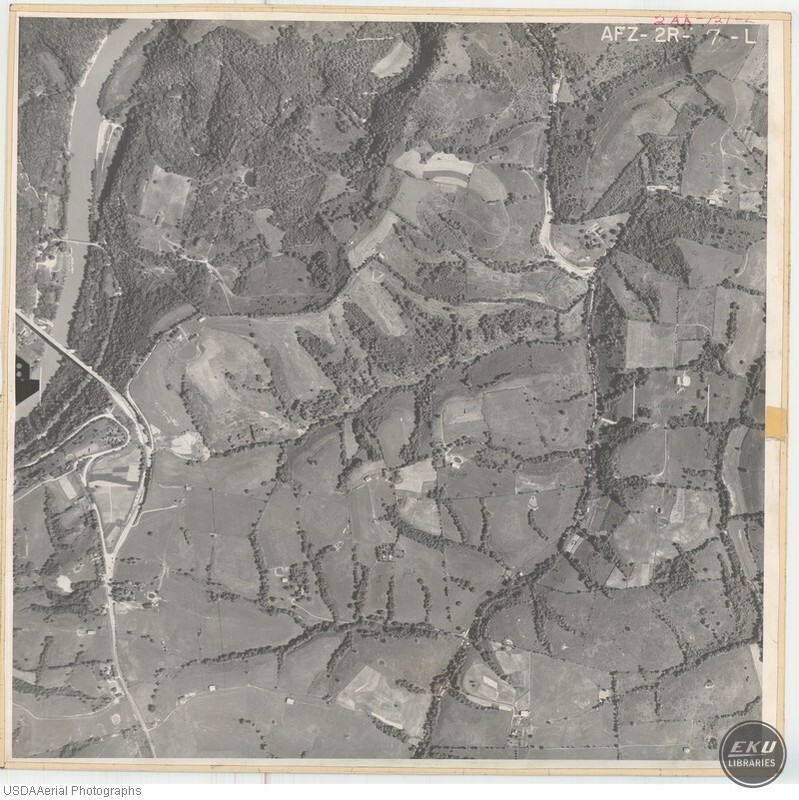 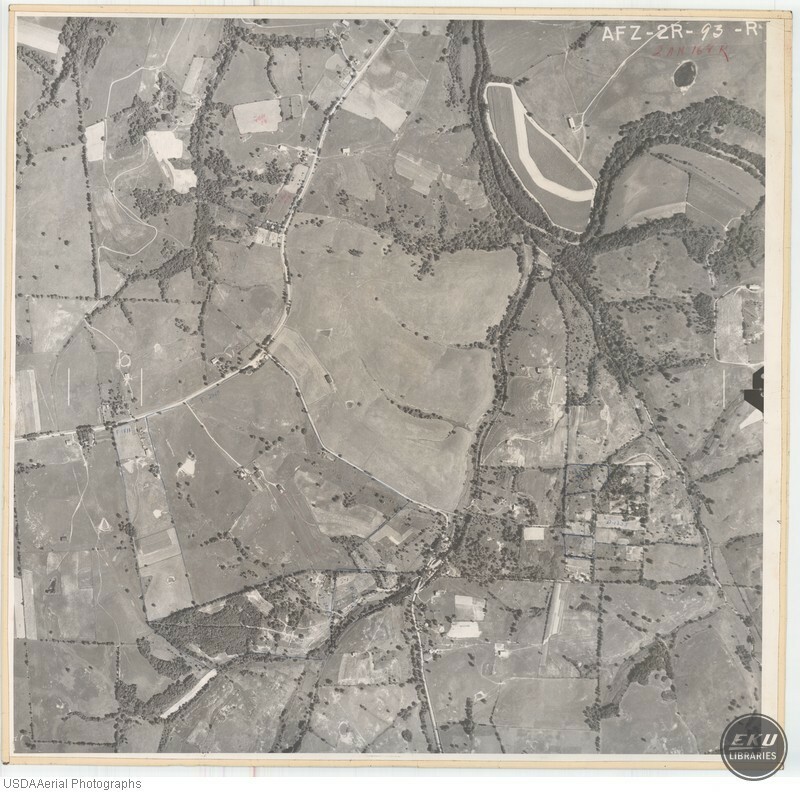 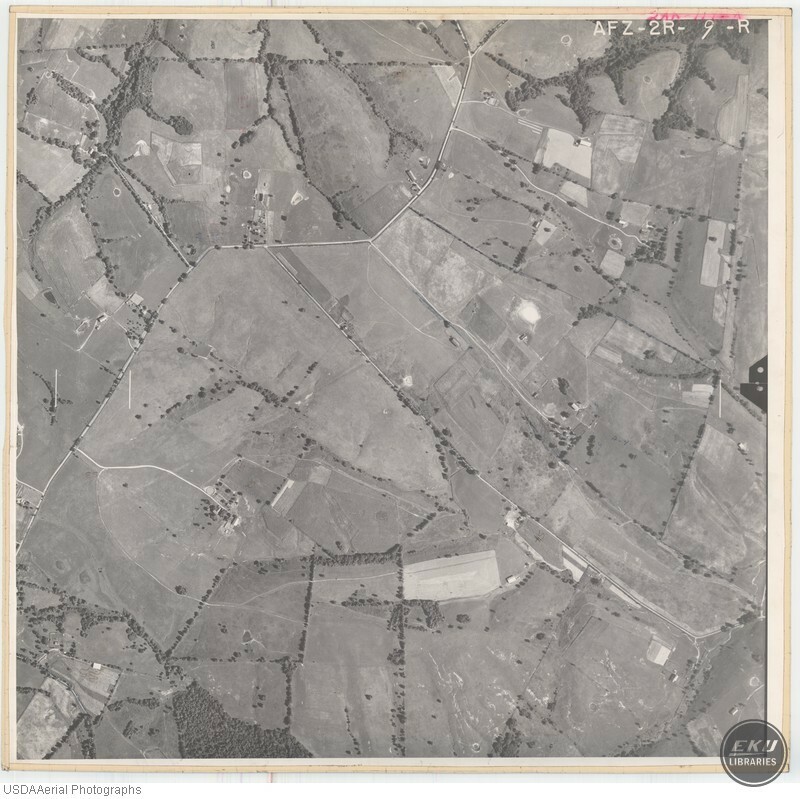 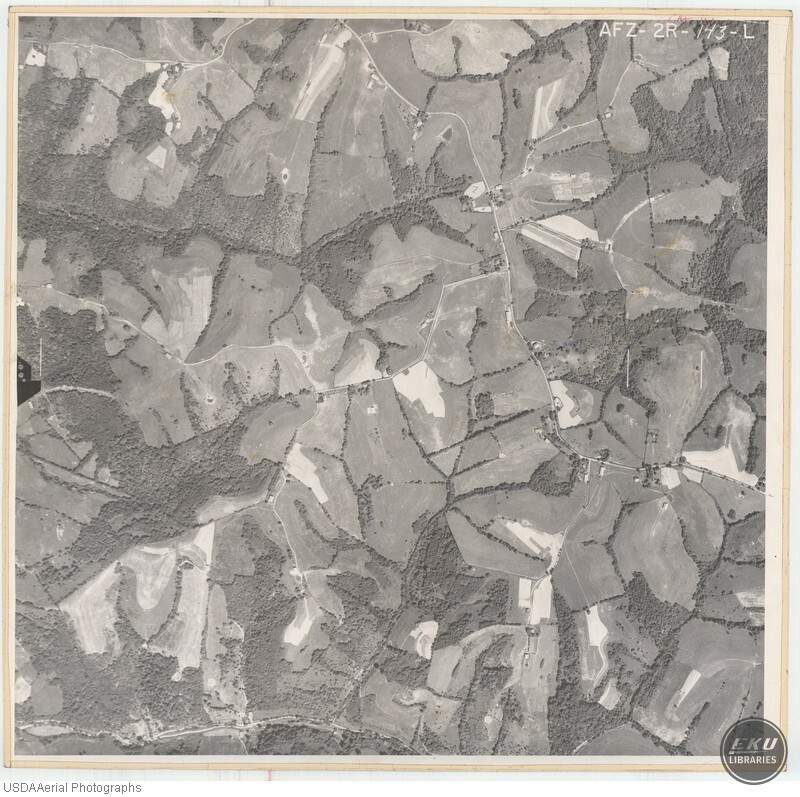 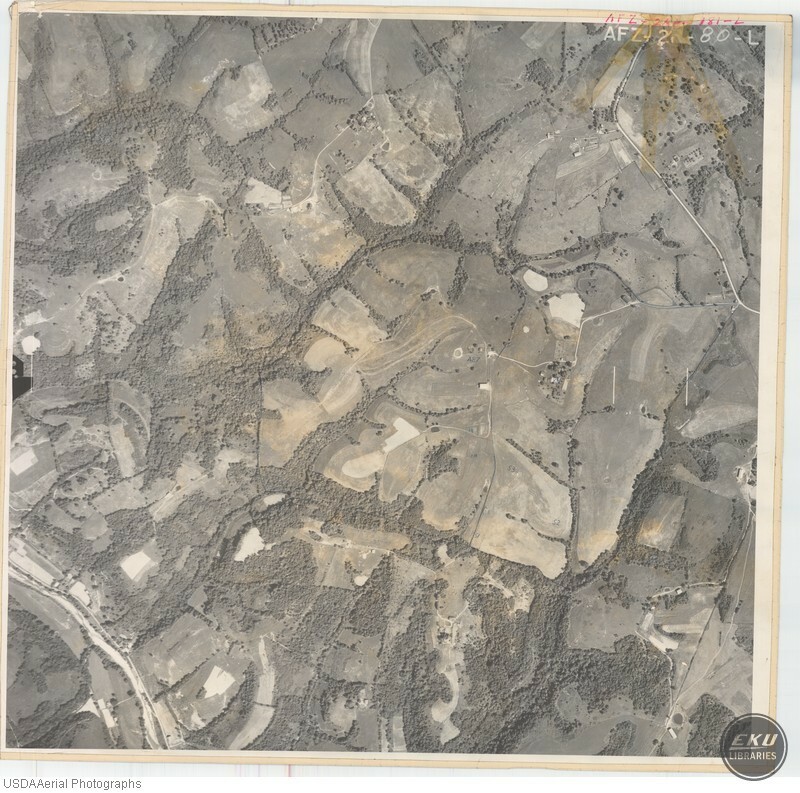 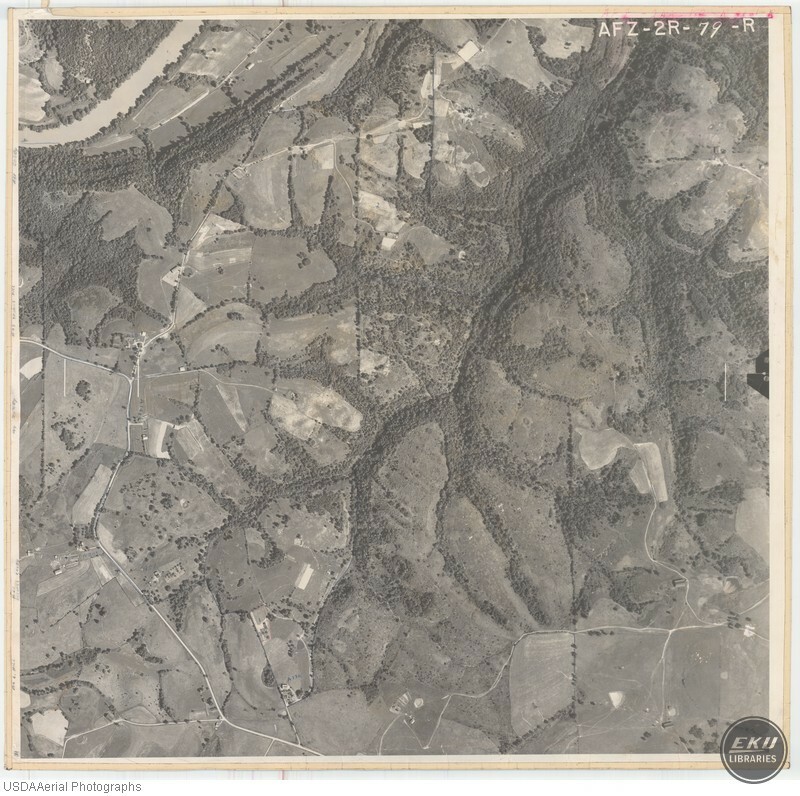 This set of photographs consists of aerial photographs of most of Madison County, Kentucky for the year 1959. 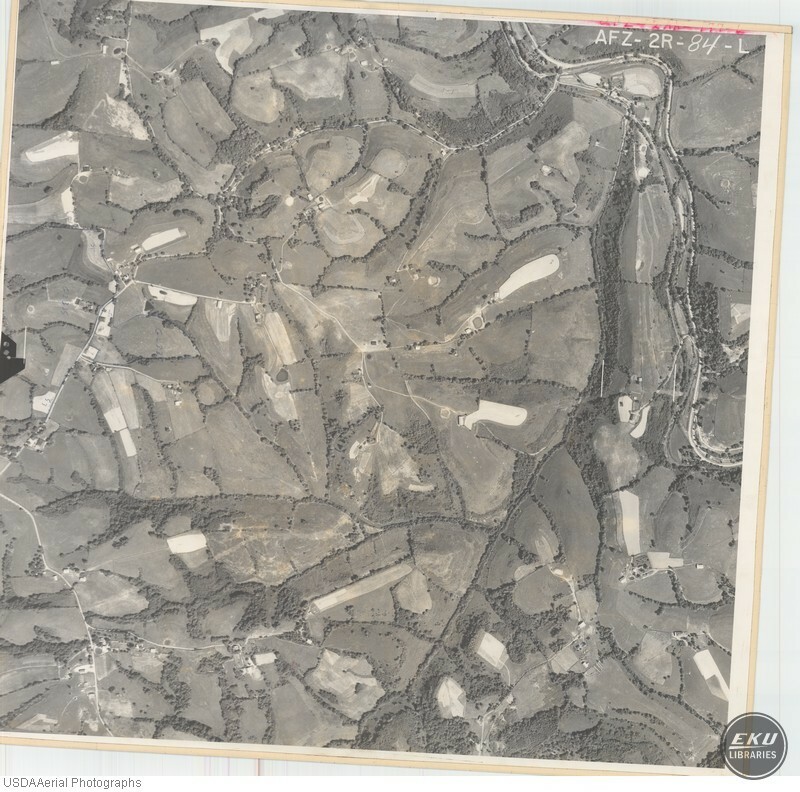 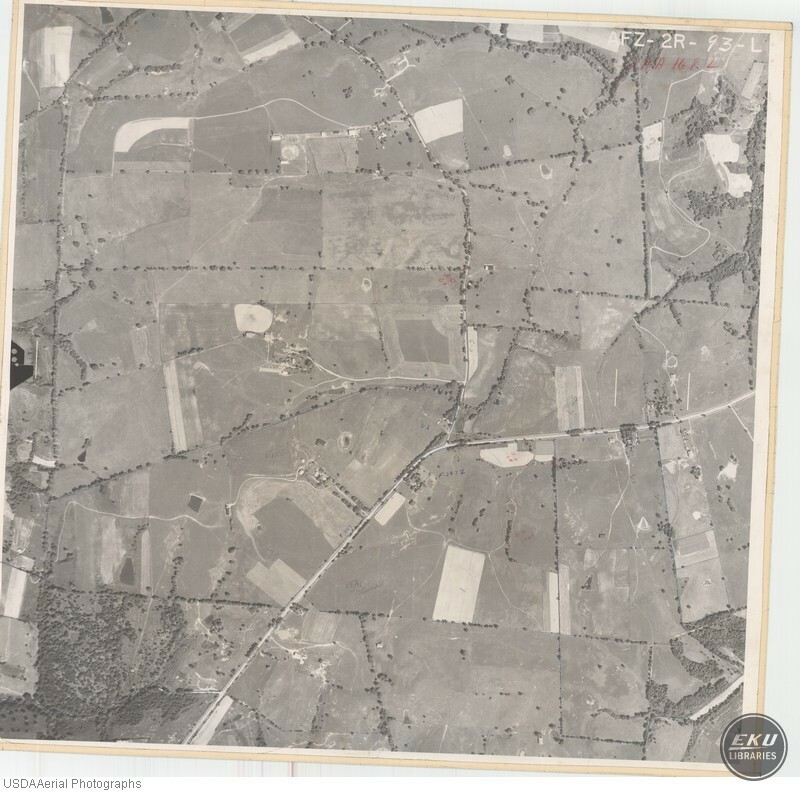 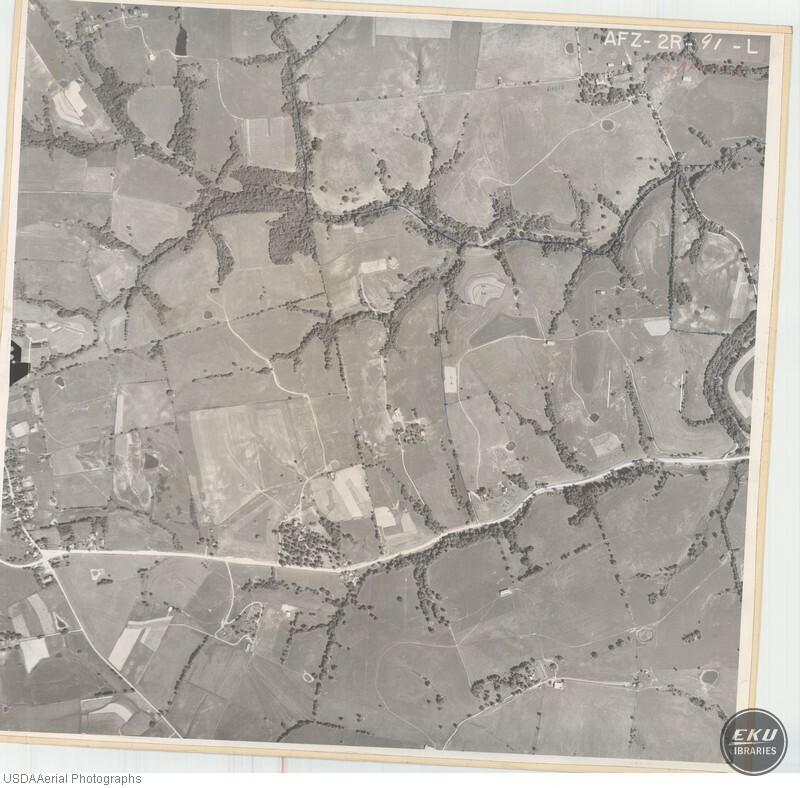 They were used by the USDA to map farms across the county and the backs of the photos include rough drawings of farm boundaries with the farmer's surname. 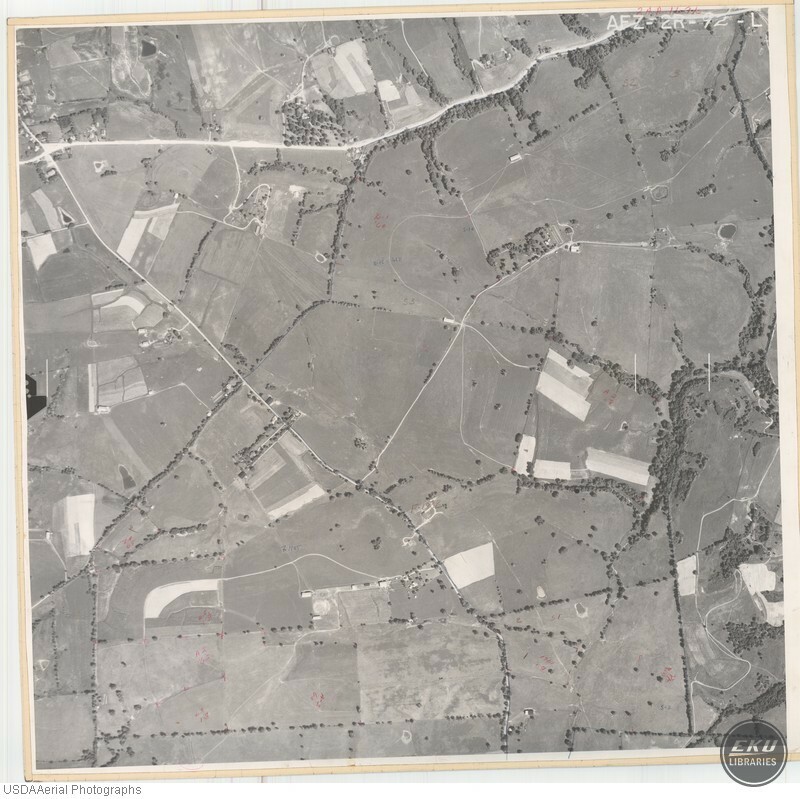 Though the backs of the photos were not scanned the names were added to photo descriptions along with relevant landmarks. 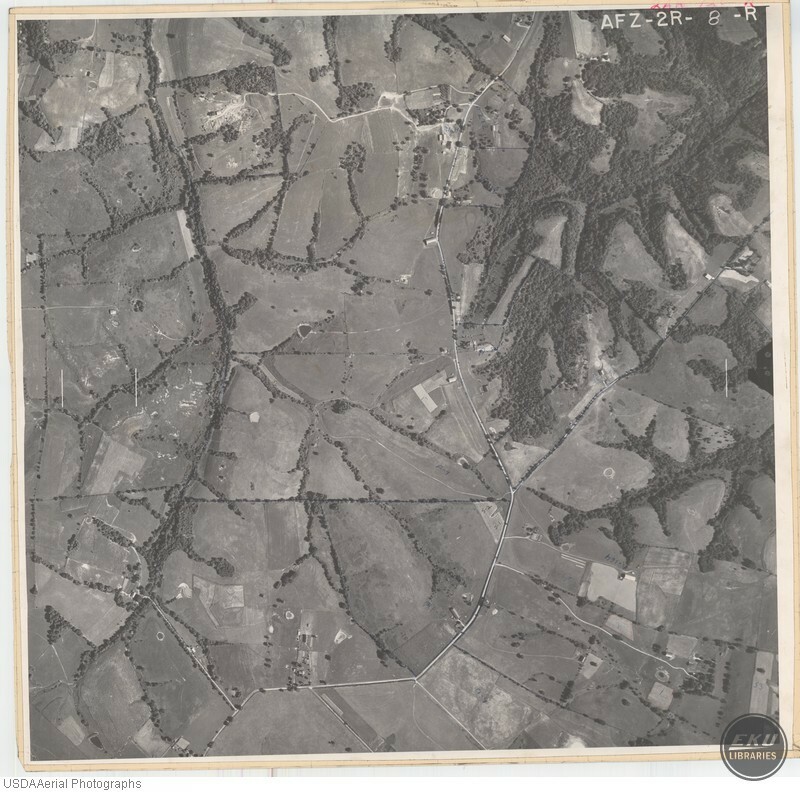 This set is not complete as there are some photographs missing, mostly from the center of the county.